Ever wanted to switch power on and off via the network? This article explores several options to affordably switch 110V and 240V power on and off via an IP connection. 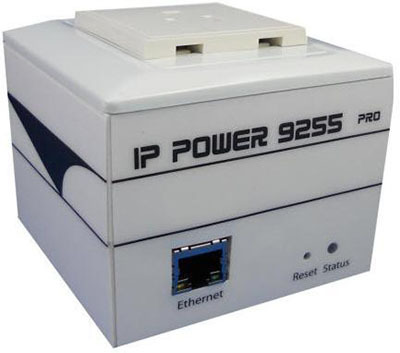 We have found several affordable IP Power Distribution Units (IP PDU) and IP Relay Boards. Not all devices contain all these features, but this feature set is typical for IP PDUs and Web Relays. There are also additional features, such as SMS, in-built 4G LTE connectivity, and power draw measurement – although this varies from model-to-model. However, with the low voltage relays we also list some options for safely switching mains power. While there are many options for IP Relays and IP PDUs available on the market, we are focusing here on a selection of products at the more affordable end of the market. These web relays and IP Power Distribution Units will allow you to switch mains power at 110V or 240V. These are useful for general purpose appliance remote power control, such as computers. Remember: When selecting a unit, you should always observe local safety regulations. If in doubt, ensure you purchase from a local supplier who can verify the unit’s safety, compatibility, and suitability in your local area. 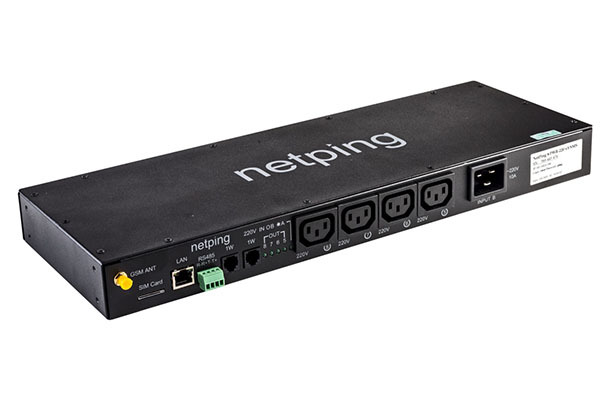 The NetPing2 is a small 2-channel power relay. It can switch mains power, at up to 1000W total. Both IEC outputs can be switched separately. It can be configured to constantly ping a device, and restart a specific power output if the ping is lost. There are dual LAN ports, and screw terminals to connect various sensors (temperature, humidity, door sensors, IR transievers, and liquid). It retails for about AU$130, and can be found easily on sites such as eBay. The NetPing8 is the big-brother of the smaller NetPing2. 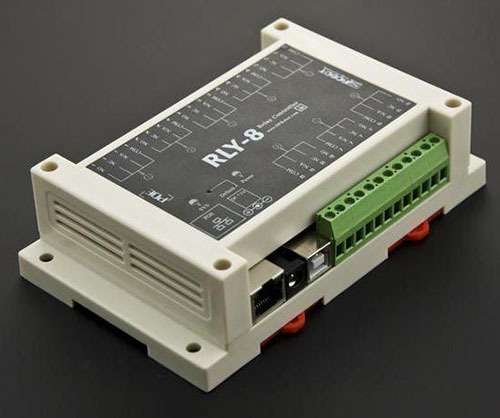 It contains many of the same features, but supports two power inputs (with automatic switching) up to 1500W on each of the eight outputs, and also as in-built SMS support. Better still, it’s rack-mountable. The NetPing8 can be found for about AU$480 on sites such as eBay. 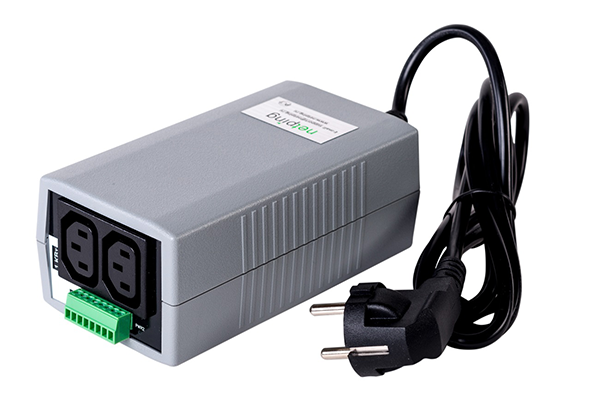 The Aviosys IP Power 9255 has a web-browser interface, and one local mains power output connector (make sure you specify the correct country’s socket when ordering). There is one LAN port, which provides access to the web interface. The webpage isn’t very helpful, but the user manual reveals it supports scheduled switching, and switching based on a ping. This unit will switch up to 8A. The Aviosys IP Power 9255 sells for about AU$160. TrippLite aren’t very popular in Australia, and most of their products aren’t readily available here, so this one may be more applicable to our friends in North America. Tripplite have quite the collection of Switched IP PDUs. I won’t get into a feature comparison here, but they do generally have more advanced features such as power usage metering. Their 1.9kW 16-outlet model retails for about $420 on Amazon. This price represents a very good dollar-per-port ratio. However, the power outlets are all North American style (not IECs), and I can’t find any versions available with different power outlets. StarTech are another brand not commonly available in Australia. Their PDU02IPSC is a two-channel switched IP PDU (I can only find them with North American power sockets). It has all the usual features (web interface, auto ping, SNMP, etc.) 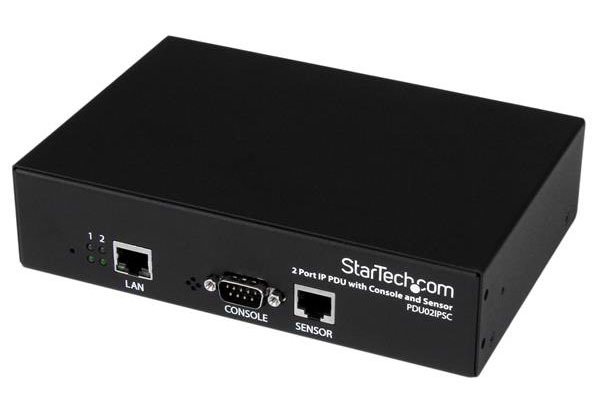 but also has RS232 for connection to a monitoring card on a UPS. It also has an inbuilt microphone and vibration sensor, to detect abnormal environmental conditions. There’s also external sensor connections for temperature, humidity, etc. They sell for about US$320. These relays will allow you to switch lower voltages (such as 12V and 24V equipment). If your equipment has a plug-pack transformer, you can possibly insert the relay over the low-voltage side of the supply. These units require a bit more ‘DIY’ work than their higher-voltage cousins, so care should be taken. If you are not qualified or experienced working with electricity, it may be best not to use one of these switches. Remember: Laws surrounding electrical work vary from jurisdiction to jurisdiction, so check with your local authorities for advice on what you can and can’t do. 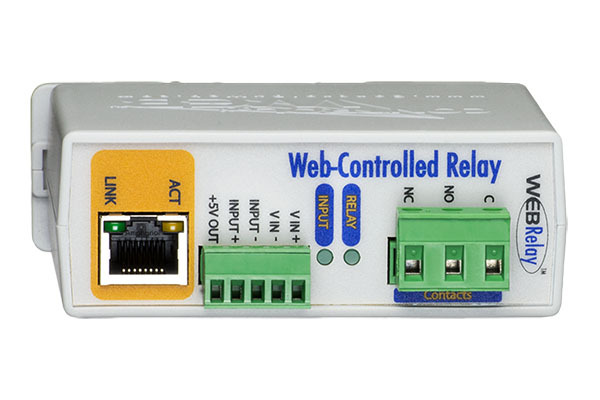 The WebRelay is a single-channel relay, with support for 1 input and 1 output on each box. The output relay supports up to 12A 240V AC, and also 30V DC. I’m listing this here as a ‘low-voltage’ relay, as it doesn’t provide a particularly safe way to connect mains power (it simply has screw-terminals, which are on the outside of the box). There are various models with different types of relays, but pricing for the WebRelay starts at about AU$180. There are a bunch of fairly generic IP-controlled relays online – just search for ‘network relay’ on your favourite online marketplace, and you’ll see a tonne of them. However, I quite like this 8-channel unit from IoT Store. It costs about AU$80. The out-of-the-box control mechanism is a free Windows utility, but it also has a JSON API (PDF) for easy integration with third-party software (such as NodeRED). As with the WebRelay, these are technically rated up to 10A @ 277 VAC or 12A @ 125VAC – but the form factor makes it more suitable for low-voltage switching. Let’s say you purchase a low-voltage network relay, but you actually want to switch some mains power too. Thankfully, there’s an off-the-shelf option I’ve found which enables you to do this safely. 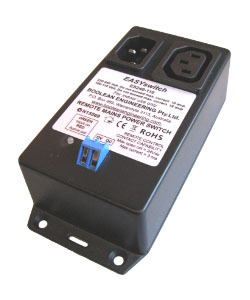 The EASYswitch ES240-110 from Boolean Engineering accepts a control signal input, and switches mains power on an IEC. These little boxes cost about AU$130, and contain both an IEC Male and Female connector, as well as a low-voltage control signal input. Simple short the two control pins, and it energises the IEC output. This is probably the safest possible way you can switch mains power. It’s entirely self-contained, and you don’t need to screw mains power into any terminals yourself.